Presents achievement data for all five tested subjects (mathematics, reading, science, social studies and writing) compared to targets for all students as well as subgroups of students. Helps parents understand achievement progress within schools and compare these to district and State achievement. Did the district (and schools) meet achievement growth targets for all students and subgroups of students? Teacher Qualification Data. This link takes you to a report on the Professional Qualifications of teachers in Manistee Area Public Schools. NAEP Data (National Assessment of Educational Progress): The National Assessment of Educational Progress assessment is administered annually to a representative sample of schools across the 50 states in grades 4 and 8. 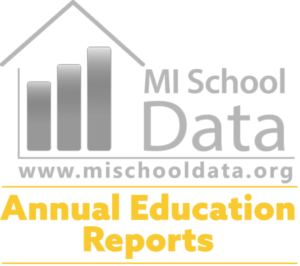 This link takes you to a report on the achievement levels of 4th and 8th graders in the state of Michigan and does not reflect the achievement of Manistee Area Public School students.